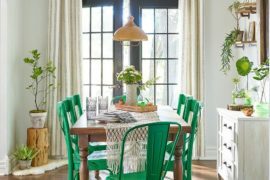 With changing design trends, decorating styles and constantly evolving interiors, the dining room has become a forgotten space of sorts. 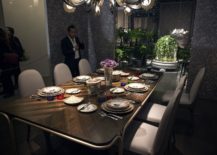 From being that exquisite and dedicated space for a fine dining experience to an afterthought that is increasingly playing second fiddle to the kitchen and the living space in an open plan living, modern dining rooms have becomes just ‘dining spaces’. 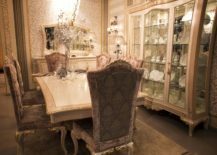 Many homeowners feel that the additional room is better served as a second bedroom, home offices, playroom or even a guest room that doubles as study. 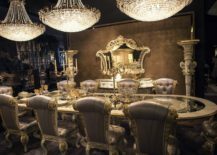 But for those who still love the opulence, grandeur and sheer magnetism of a lavish dining room, the collection below is bound to be a visual feast! 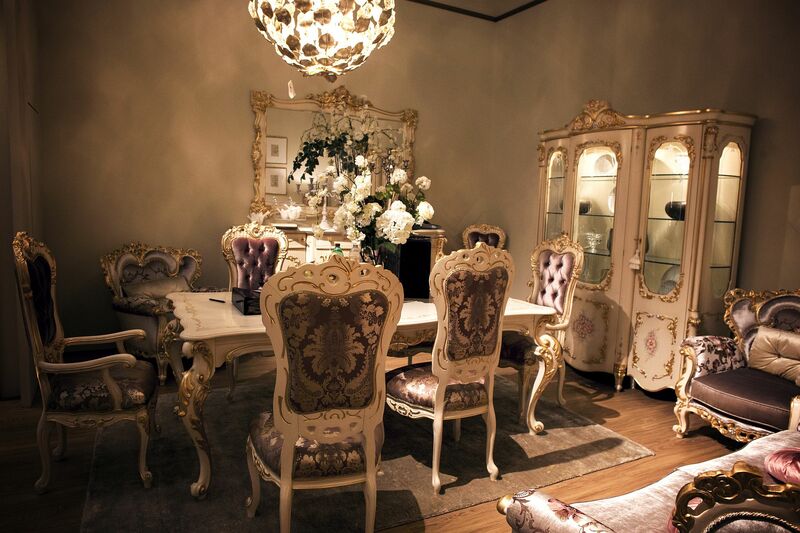 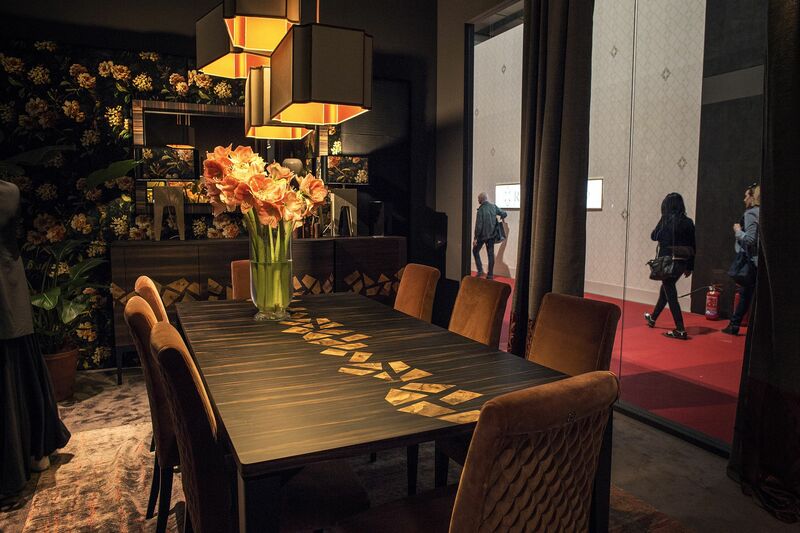 This stunning dining room is all about gold – A royal dining experience! 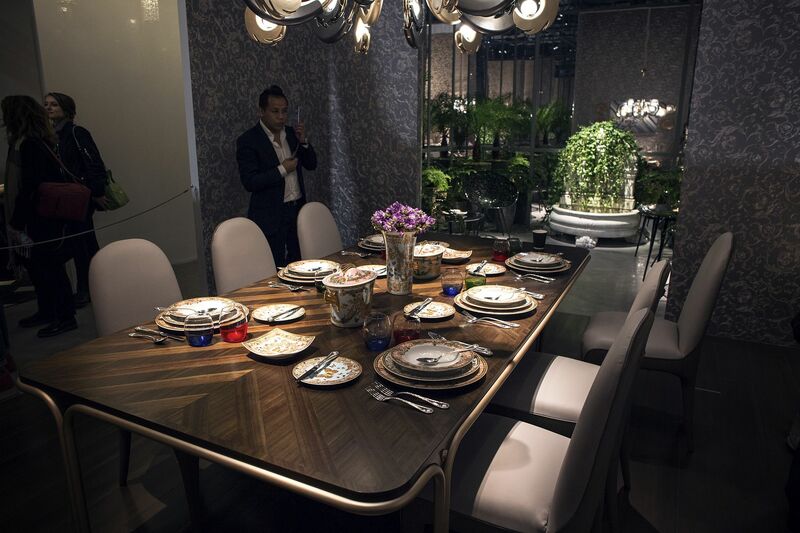 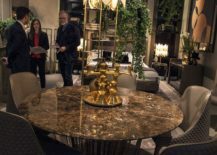 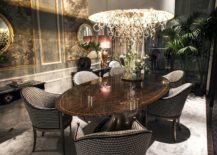 Despite the trend of integrated unassuming dining spaces with the social kitchen, a completely different end of the spectrum has seen the revival of the luxurious, classic dining room. 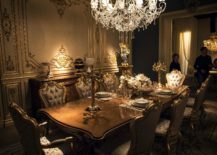 While they might seem a touch too ornate and ‘over-the-top’ for some, others might love the majestic and timeless backdrop they present for a perfect and memorable family dinner. 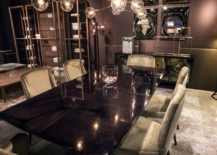 Elegant, affluent and at times modern, here is a look at 15 latest dining rooms laced with brilliant craftsmanship and an air of indulgence. 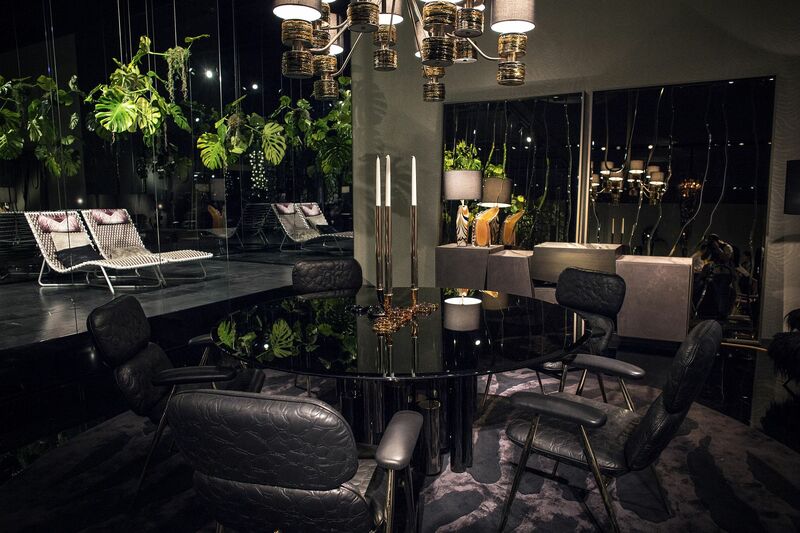 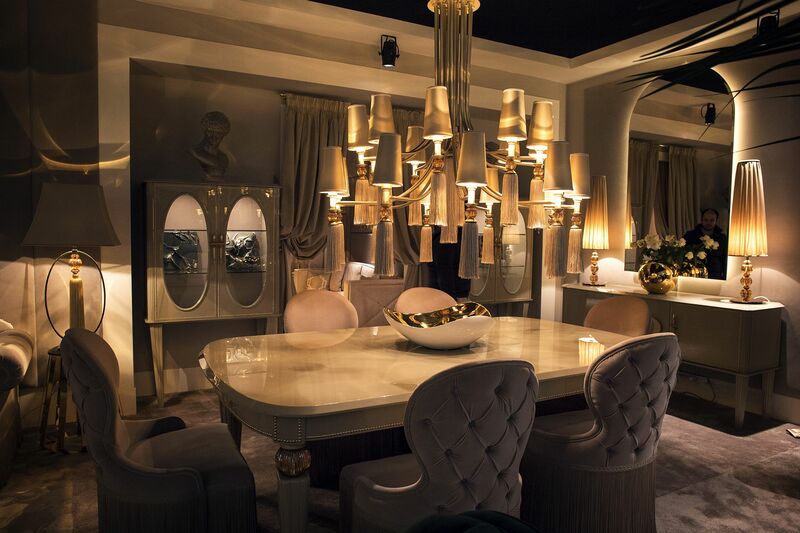 There is something inherently timeless and beautiful about luxury Italian décor that leaves us all mesmerized. 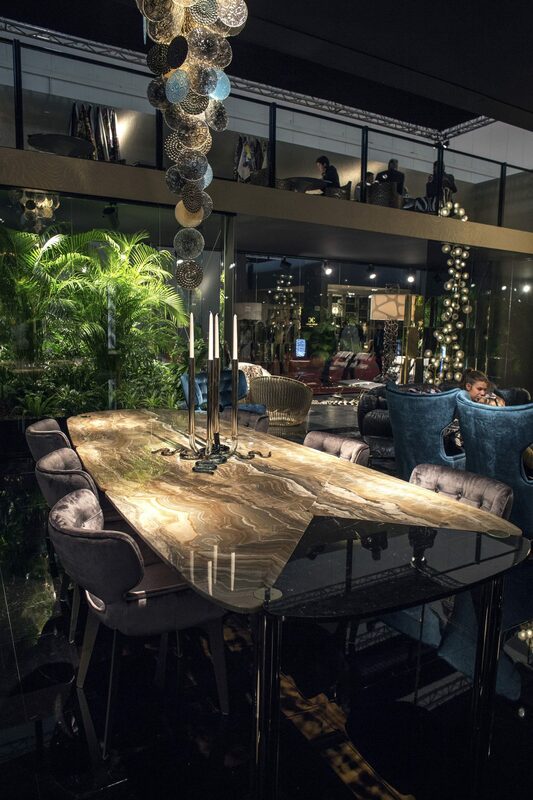 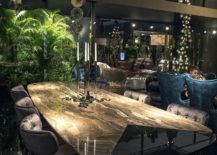 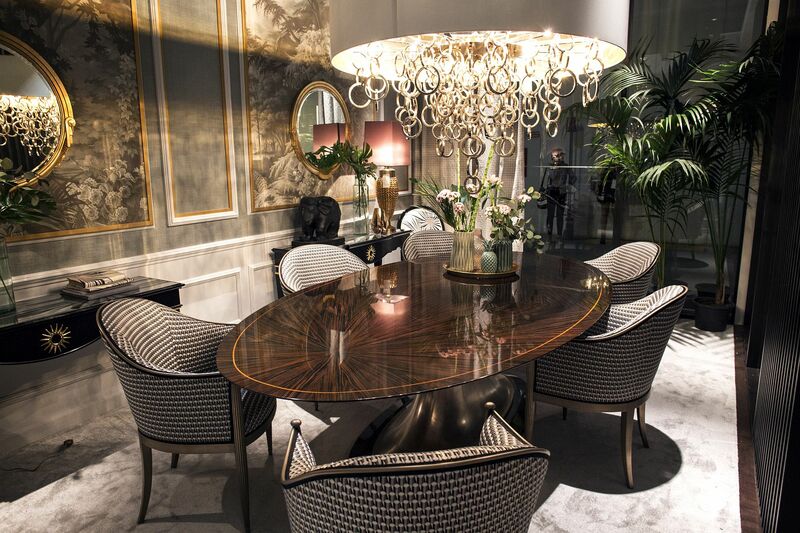 When it comes to classic, luxurious dining rooms, this becomes even more evident with the likes of Roberto Cavalli and Medea combining a hint of modernity with timeless aesthetics and golden glint. 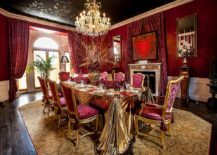 Apart from the beautiful fretwork, the golden embellishment and the silvery overtones, colors such as deep fuchsia, gentle purple and scarlet red add to the grandiose of these remarkable dining spaces. 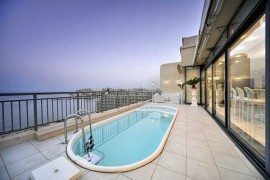 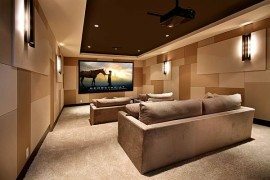 If you have both the space and the budget to spare, then getting one seems like an absolute no-brainer! 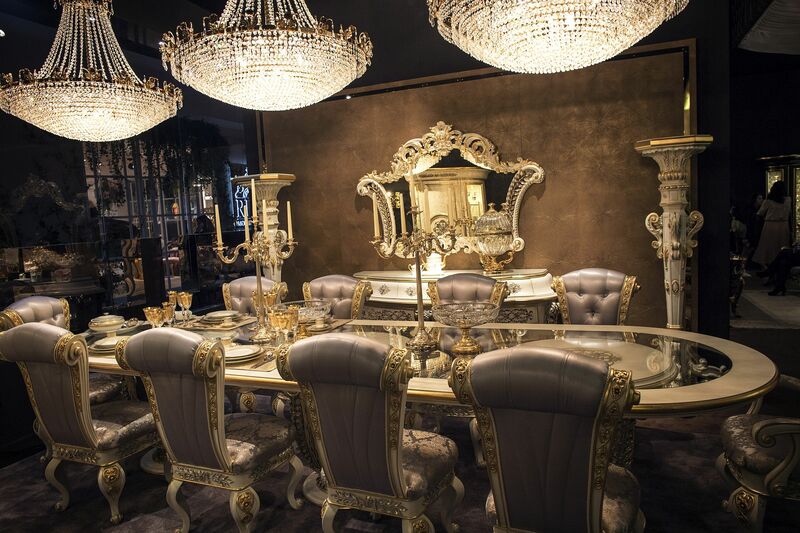 A dining room draped in luxury need not be all about timeless aesthetics, plenty of gold and a healthy dose of Victorian style. 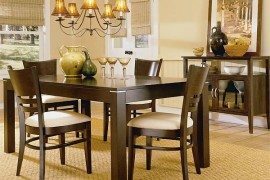 Even modern dining rooms with their gorgeous wood or stone dining tables, neutral colors that oscillate between black, white and gray and contemporary finishes can seem equally enchanting when done right. 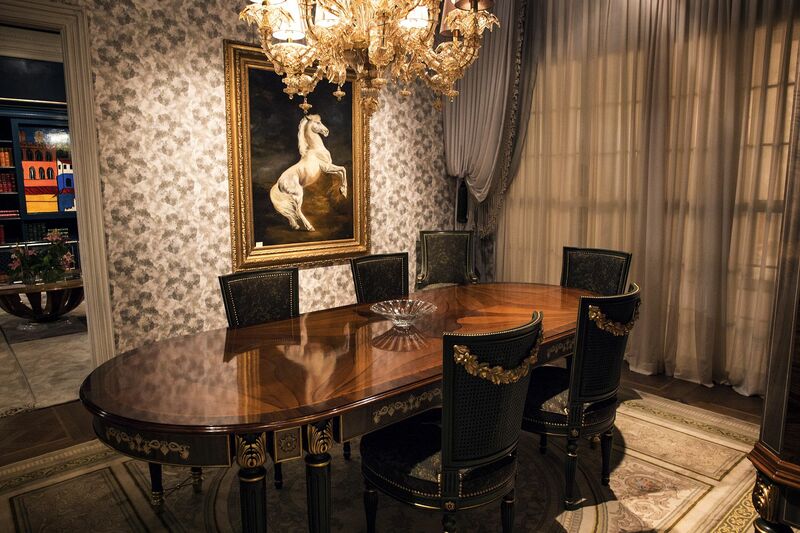 A large part of getting this elusive jigsaw right is lighting. 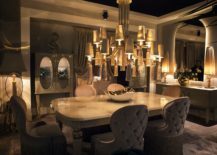 Yup, it once again comes down to a sparkling chandelier, a cascading pendant fixture with crystal brilliance or even a custom chandelier that steals the spotlight with ease. 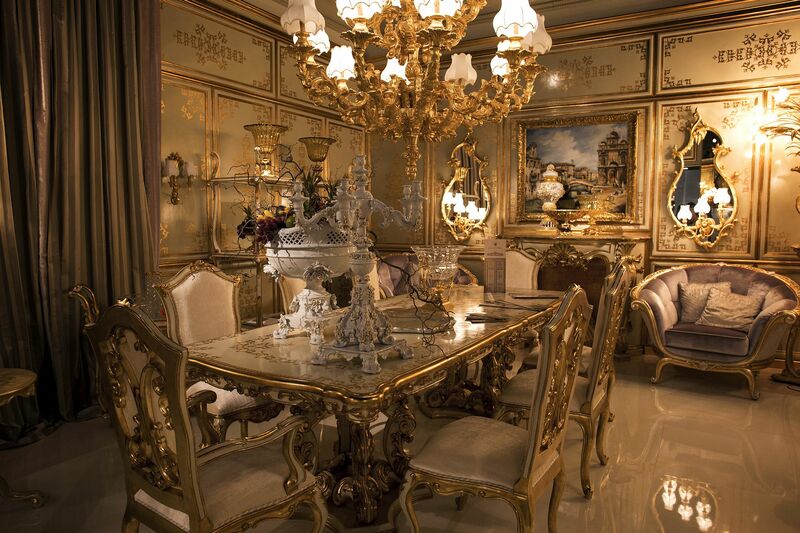 Metallics play a pivotal part in giving the dining room a luxurious look. 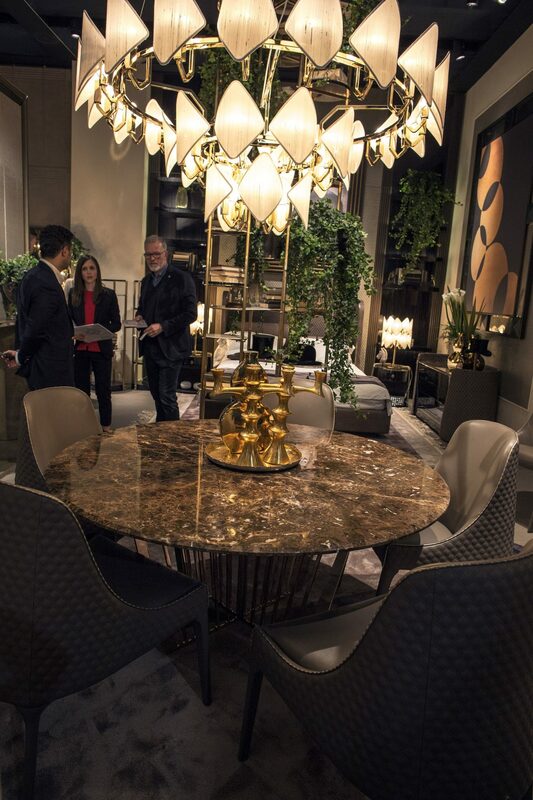 Even if you are not too keen on an overload of ‘gold’, do think about more restrained and modern metallic accents to usher in some much needed dazzle! 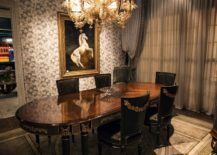 A grand dining table in stone adds to this glitter with wall art, wallpaper and other coverings creating a captivating backdrop. 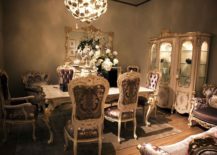 Complete the space with beautiful vases, classic candleholders and some fresh flowers to accentuate the ‘luxury quotient’. 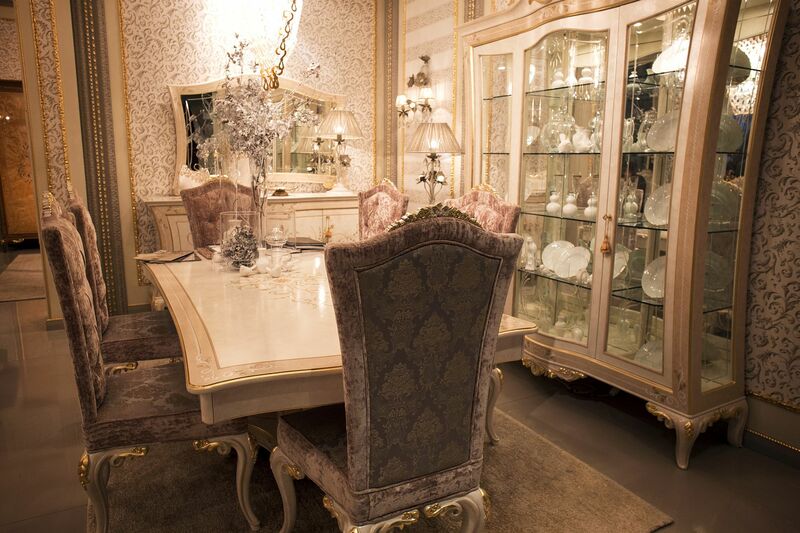 Cabinets with glass doors or a fancy china display takes this already wonderful dining room to a whole new level! 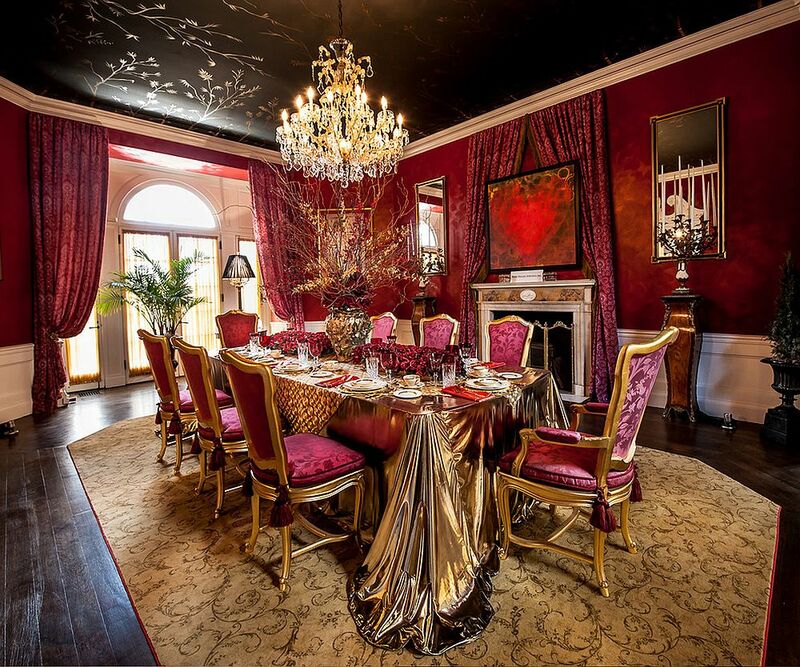 Awesome dining room in black, fuchsia and gold!